GB Railfreight (GBRf) has announced that Bob Tiller has been promoted to Engineering Director and Ian Langton will take over as Production Director. Both will sit as members of GBRf’s board. deliver long-term, sustainable results for the company. at Old Oak Common. In that time, he has worked in various technical roles, including as Depot Production Manager, Fleet Engineer and on various locomotive refurbishment projects. He was also Project Manager for the repowering of First Great Western’s high- speed train power cars. Ian Langton will be responsible for the day-to-day delivery of GBRf’s services, as well as the leadership of those carrying out this work. Langton joined GBRf in April 2012 and has over 27 years’ experience in the rail freight sector. Prior to joining GBRf he spent 22 years working with DB Schenker and its various predecessors, EWS,Transrail, and British Rail. In the final two years of this period he was Operations Manager in the Netherlands. 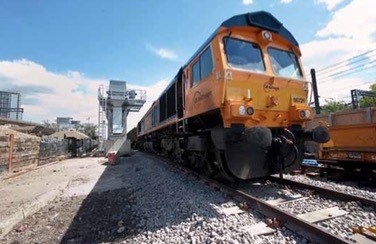 GBRf is one of the rail freight industry’s great success stories, having grown rapidly in recent years. The company has particularly focused its efforts on innovating and on delivering outstanding customer service. GBRf has pioneered the development of alternative core commodity markets such as intermodal and aggregates, as well as growing new markets in biomass. The company also introduced the ‘Train Manager’ concept, a title that reflects the enhanced responsibility and status of its drivers in delivering a top-class service for its customers. John Smith, Managing Director, said: “It is a real pleasure to welcome both Bob and Ian to the GBRf board, where I know they will be able to make significant contributions. They both have proven track records of providing leadership and direction to their teams, as well as the ability to successfully lead and implement business strategies. Founded in 1999 and headquartered in London, United Kingdom, GB Railfreight is the third-largest rail freight operator in the United Kingdom, with a turnover in excess of ZAR 2,074m. GB Railfreight is one of the fastest growing companies in the railway sector and transports goods for a wide range of customers.